Life with Liv: Canvas Design review. 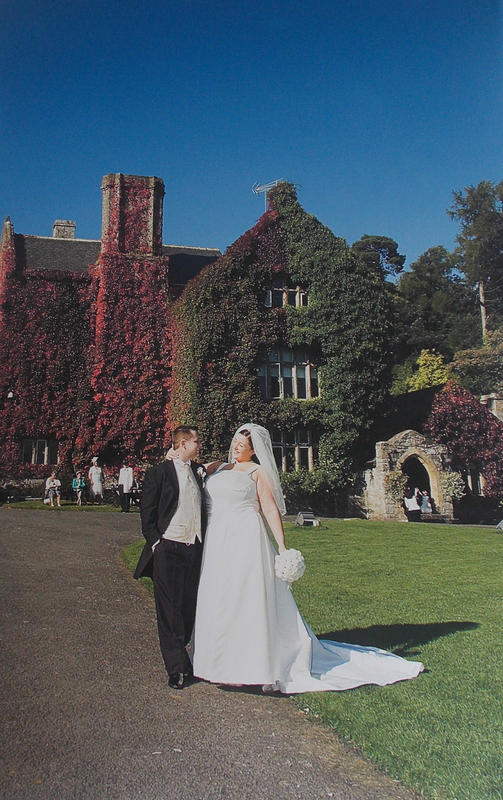 When CanvasDesign asked if we would like to review a canvas, I immediately started to think which photograph I would use. As our house is beginning to look like one giant montage of Olivia's life so far, I decided to dust off the wedding album and see if I could find a picture that would be good as a canvas. When I had decided on the image I wanted, I located it on our disk of Jpegs then emailed it over to the lovely CanvasDesign. They chose the size that best fitted my image and two days later I received a fabulous delivery. I was so pleased to open my package and find this beautiful canvas measuring 22 by 14 inches. "Canvasdesign was formed in 2004 from an idea that originated from designing wallpaper. We were getting asked from our customers if we had heard of canvas prints and if we could do them, we didn't know anything about the process and there the research began. We started making our own frames with timber cut from local hardware stores, a lot of changes were made to manufacturing because we received suggestions about quality from customers. The big problem for us was tension on our canvas bars. More research showed that stretcher bars with tensioners were the way forward, so we started using Fir stretcher bars. We then had issues with frames warping on the wall so we immediately switched to pine bars. This was when things improved for our company and we started to get busier. We sourced our own Canvas, hatched out a deal with a local canvas roll supplier and moved over to high speed Epson production printers with genuine lightfast inks installed. With our printing capabilities unrivalled, the feedback we were getting was all positive. This evolution process has seen our company grow into the one it is today. We know our roots and we also know what requirements a canvas needs to have to satisfy our customers. Order a canvas from Canvasdesign and you are ordering years of continuous evolution in the canvas making process." The colours and details are amazing, just as clear as they are in our album. The frame feels very sturdy and the canvas feels a good quality thickness. Also as an added bonus the picture hook, screws and plugs are included in the package - my Husband was especially pleased with this as it meant he didn't have to go digging around in the shed! Here is a price list for the most popular sizes. Delivery is 48 hours and FREE. You can also order floating canvas prints, photo collages or even turn an Instagram image into a canvas. I would definitely recommend Canvas Design to Family and Friends. 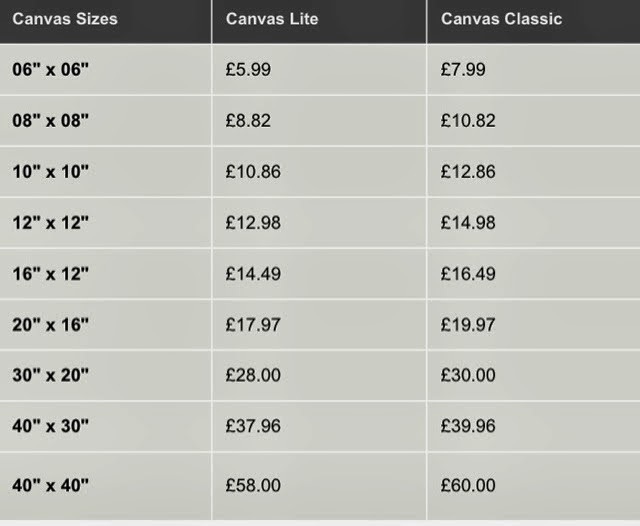 Why not pop over to www.canvasdesign.co.uk and take a look - if you do place an order, use code Disco15 to get 15% off the value of the cart. Disclaimer - I was sent this canvas for the purpose of the review however, all opinion is my own.